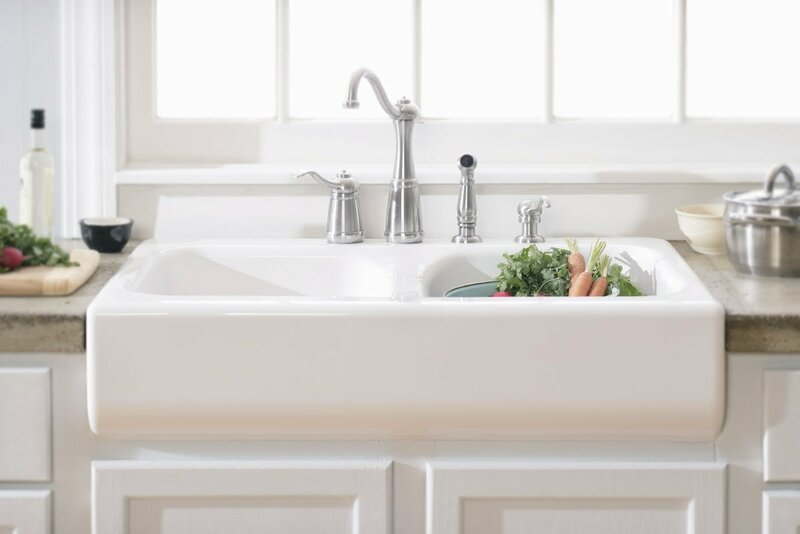 I really, really, really want an apron front sink in my kitchen. It is one of the main design elements I don't want to compromise on. But I have been searching Amazon for other options. This is the sink I want so badly. I love it that I don't need a special sink base. It can fit into any standard kitchen sink base cabinet. It's Kohler. It's cast iron and 36 inches wide. I love that it isn't divided. I could wash long cookie sheets with ease. It will sit under the countertops- which I love! It is $825 with free shipping. And then I found this one. It is a lot cheaper. But it is acrylic. It sits on top of the counters. And it is divided. It is $200 with free shipping. I know which one I want. Is it worth it to spend 4x the amount to get it? Well, cast iron is FAR more durable than acrylic. It also has (I am assuming) an enamel coating? They are a cinch to clean and aren't as prone to staining as acrylic would be. My question would be "What do you love? Why did you choose this one specifically?" And you answered. You don't want a divided sink. If it was a style issue only I would say there isn't that huge of a difference. But it isn't. You want an undivided sink. 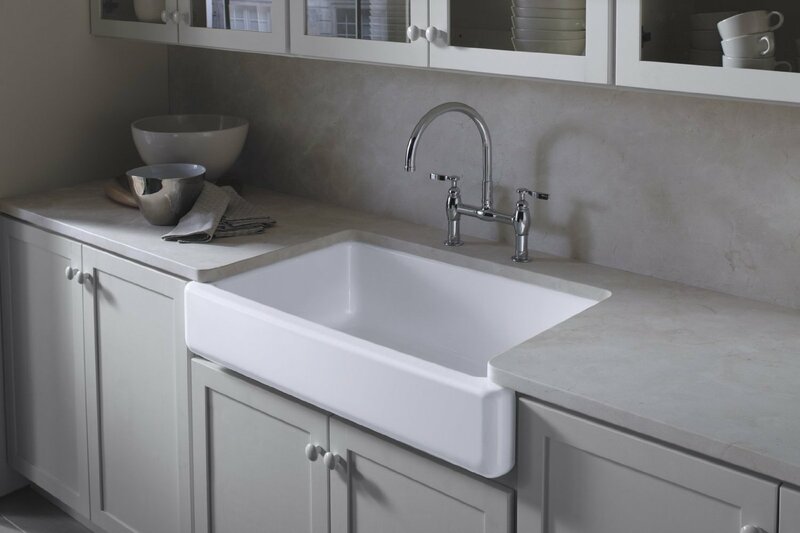 So my vote would be to invest in the sink you REALLY want and that the durability and added long-term value would make the extra expense worth it!